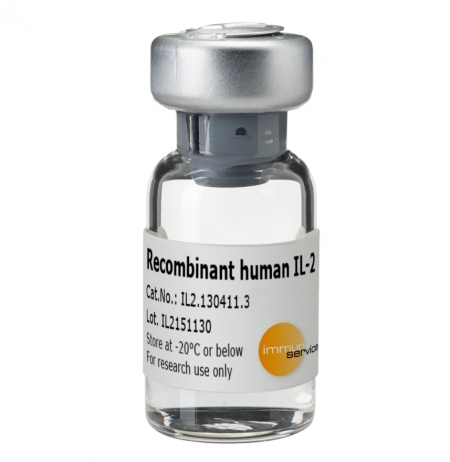 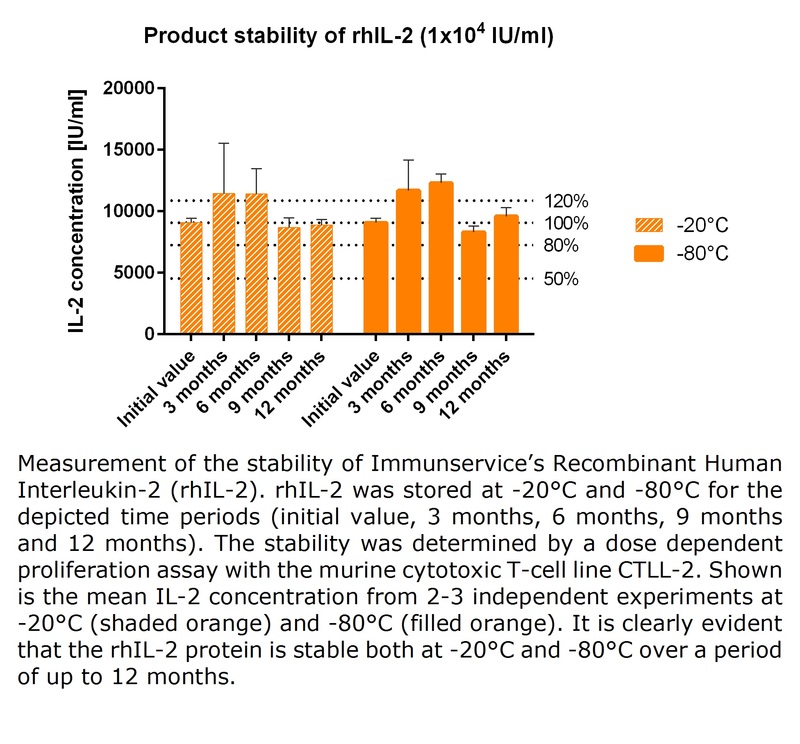 Immunservice’s recombinant human Interleukin-2 (rhIL-2) is a secreted cytokine consisting of a mixture of three isoforms (a glycosylated tetrasaccharide, a glycosylated trisaccharide and a non-glycosylated isoform) with a molecular weight of approximately 17 kDa. 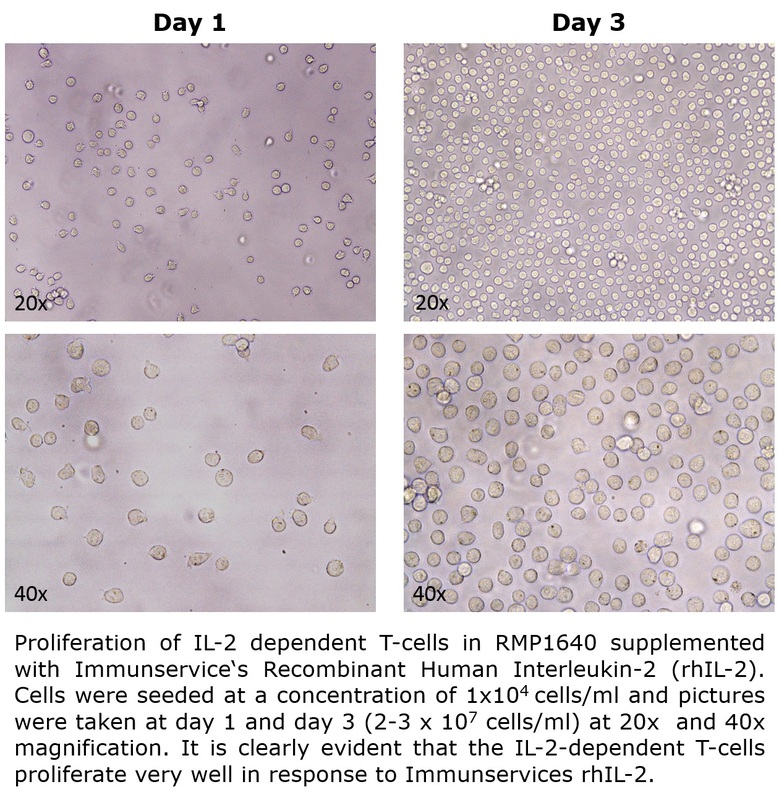 This composition very strongly resembles naturally occurring IL-2 and is particularly stable. 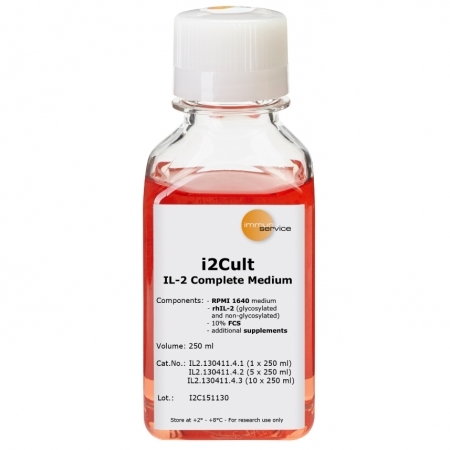 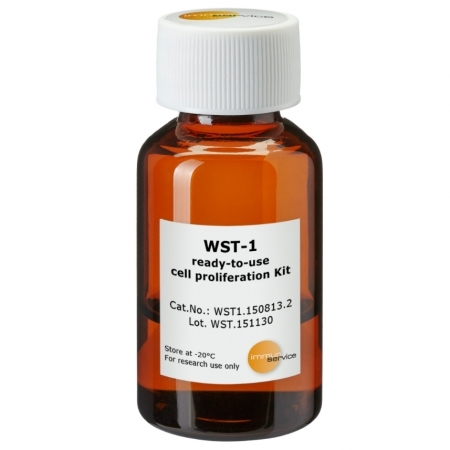 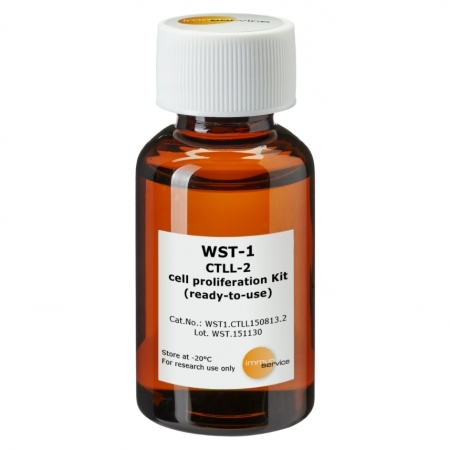 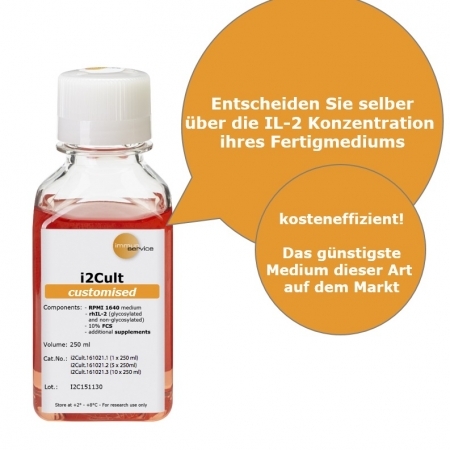 Interleukin-2 plays a key role in proliferation of T and B lymphocytes and stimulates differentiation of B cells, NK cells, lymphokine-activated killer cells, monocytes, macrophages and oligodendrocytes.